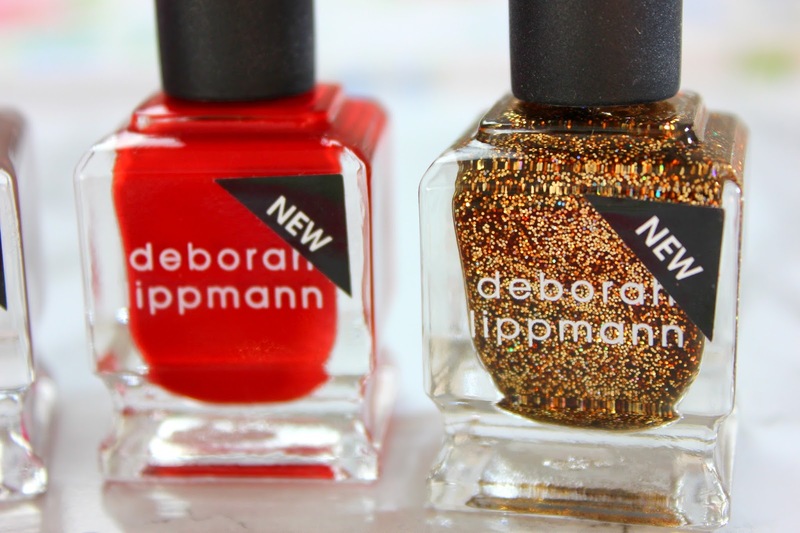 I have worn these Deborah Lippmann nail polishes so much these past few weeks. They are very autumnal and winter-y and perfect for this time of the year. I love that the red and gold shades can be worn around the festive period and worn together for a sparkly Christmas dinner/night out. The dark plum shade is so beautiful and is perfect to wear with a plum or cranberry coloured scarf or a dark plum lip. The light taupe/grey shade is the perfect shade for everyday wear during the cooler months if you don't like wearing bold nail shades. 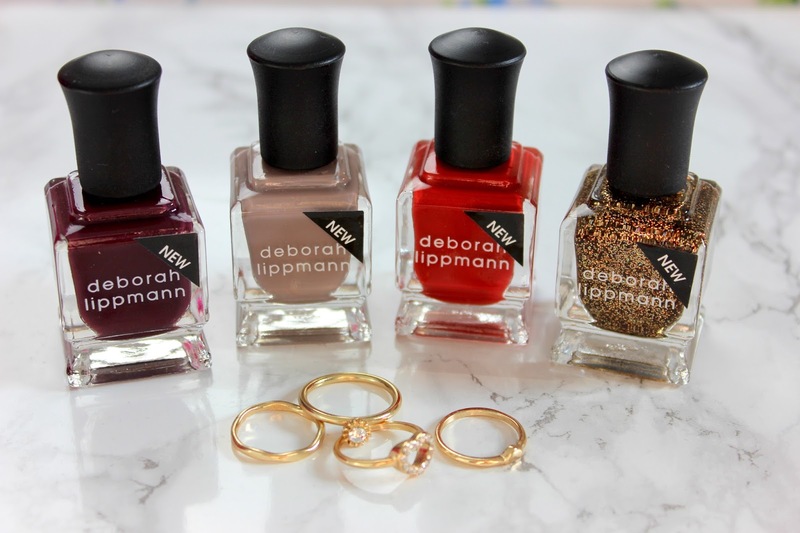 I love the shape of these Deborah Lippmann nail polish bottles, they are so cute and perfect room décor. The pigmentation of these polishes are insanely good too. I've only ever needed one coat to get the polishes nice and opaque. However the glitter polish needs a little extra coats because of the sparkly bits inside but that's understandable. The glitter polish wears very well on my nails considering that it needs more coats and it's also really sparkly too! The polishes are also very fast drying which is perfect because I tend to get fidgety sitting waiting on my nails to dry and you can guess what happens to my nails....??!! So I'm loving how fast drying these ones are! 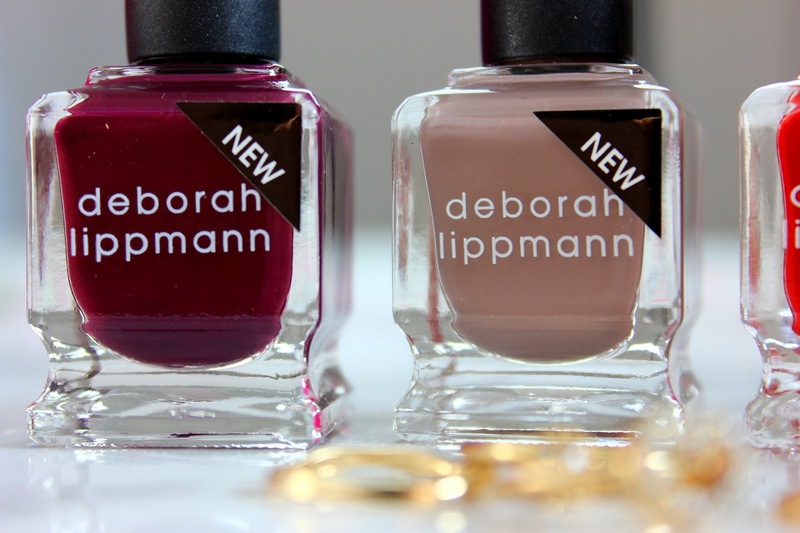 A Deborah Lippmann nail polish would be a lovely stocking filler for Christmas or a present for your best gal! 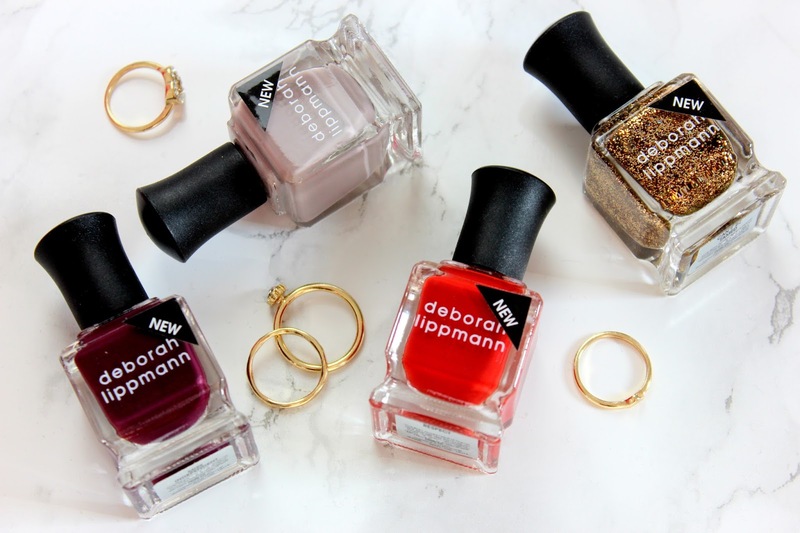 I'm in love with this Deborah Lippmann nail polish collection and will be wearing these shades probably the rest of the A/W.